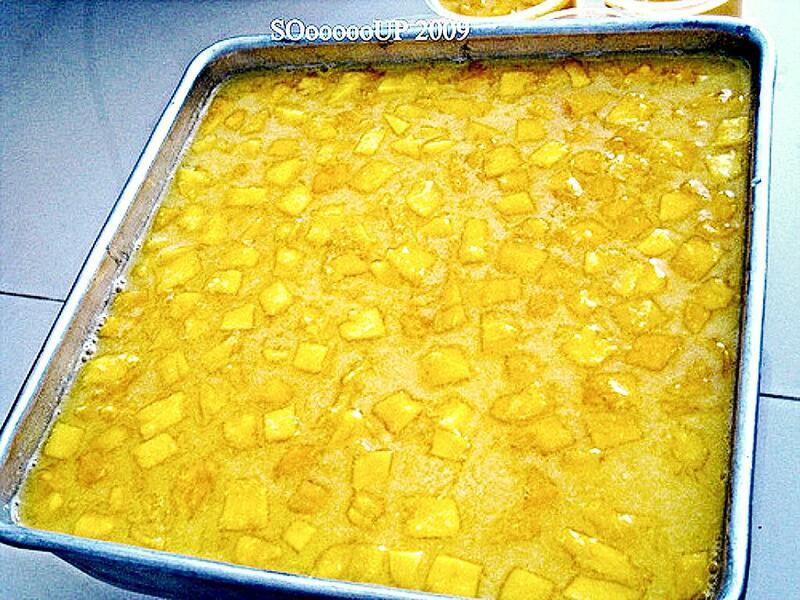 Attended mooncake festival gathering at a friend's place and I made mango pudding for dessert. I used "Robertson" mango jelly powder which was bought in Hong Kong. I always bought dozen boxes whenever I travel to Hong Kong as this brand is not available here. Hi there, I've tried several times to make a mango pudding that looks like yours with the Robertson's jelly. However, I have failed every time. It always comes out completely liquidfied. I use one package of robertson's jelly. I mix that with 250ml of hot water, and stir until all the powder has dissolved. Then I put in about 1/2cup to 3/4 cups of cut water, and a bit of evaporated milk for colouring. Lastly, I put in the prepared mango pieces. I'm trying one batch right now, and I just put it in the fridge. 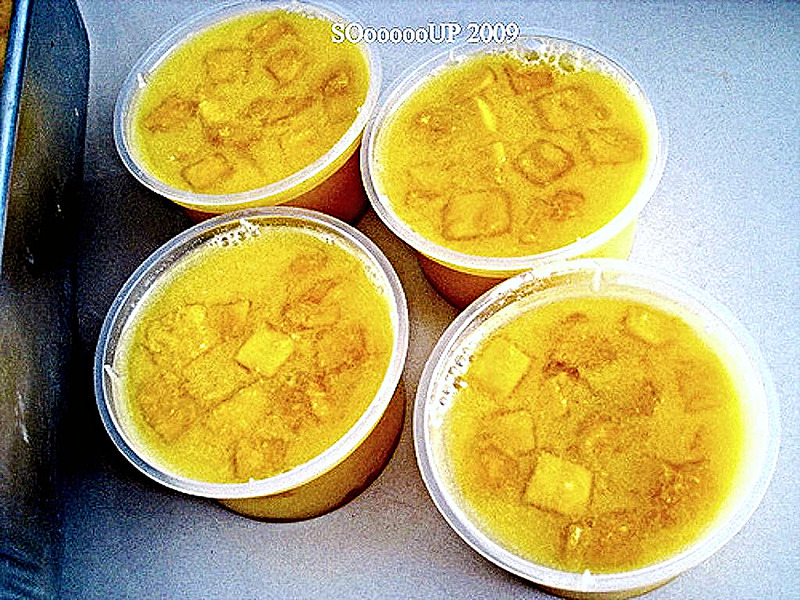 I've heard that you have to wait until the hot jelly mixture cools down to add in the cold water and milk and mango. Is that true? How do you make yours so perfectly?